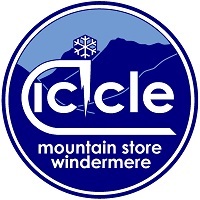 We stock a wide and growing range of trail running equipment in our Windermere Lake District store, click here. 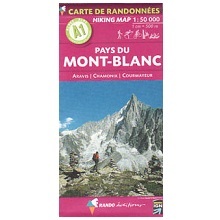 is designed to go into greater detail on the different types of mountain running kit that are on the market, but our focus is to give you good generic advice, rather than to promote specific brands or models of kit. 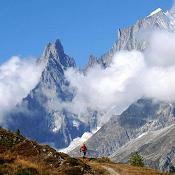 At its core, trail / fell running is about moving fast and light in the mountains, with a minimalist approach. It is not about huge kit lists - essentially any pair of trainers, shorts and a t-shirt will do. 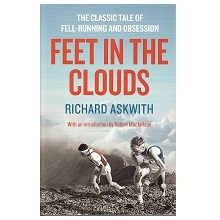 If you don't believe it, read 'Born to Run' by Chris McDougall, about the Tuarahumara. Never forget that when running in the mountains, the weather can turn in a matter of minutes, and you need to have enough kit with you to stay safe. Waterproof jacket and sometimes trousers too should be carried. If the weather is likely to be good, then just a lightweight jacket is fine, but for bad weather a full weight Goretex style jacket is often required. Carry a small first aid kit to cope with any blisters, and also some strapping tape. The tape is great for supporting turned ankles, bad blisters, and rubbing from shoes or straps. Also carry an emergency survival blanket (foil type) in case of extreme cold or injury, as well as your mobile phone with the emergency services numbers pre-programmed into the memory. Your base layer clothing should be comfortable and light, to allow your skin to breathe, but to protect it from rubbing and the sun. 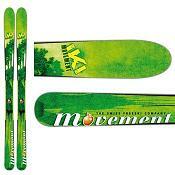 Their are many good materials to choose from, but the selection really comes down to personal preference. Some like wearing shorts, whilst others prefer tights. Your experience will guide you in this choice, but we recommend you stick to what you normally choose to run it, be it around the local park, or over the mountains. Don't select any base layer that is too thick, as you want it to wick the sweat and heat away from your body, not to hold a clammy layer against you. One bit of advice, is that you dress in black like a ninja, you will cook when it's hot. Light is right. 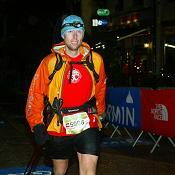 The only extra equipment you need for running at night is a decent head torch. 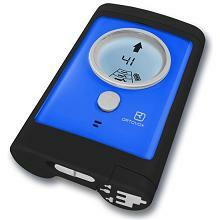 The market is full of good LED style head torches (e.g. 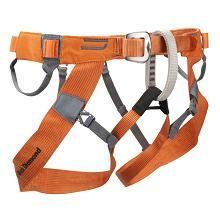 Petzl Nao), with elasticated head bands to keep them securely on your head. Often they have lense adaptors so you can select a narrow or diffused light beam, to cater for different terrain and visibility. 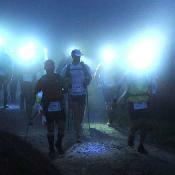 On many races that have night time during the event, runners often are asked to carry a spare head torch and batteries. This can seem over the top at first, but to be stuck in the mountains without a torch in the night, is dangerous. For your safety many items of clothing, and equipment, have bits of light reflective material on them, so you can easily be spotted. 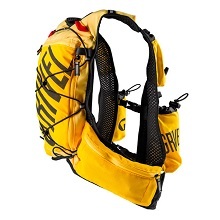 In the shops you will find running rucksacks from 2 litres up to 20 litres, with all sorts of options for extra pockets, different strap systems, etc. 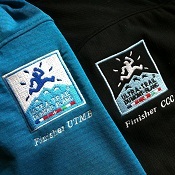 These cater for any need from a short training run, up to a multi-day ultra marathon. 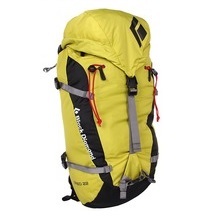 For day runs, a good size would be around 8-10 litres, and for an ultra-trail 12 litre packs such as the Salomon S-Lab ADV Skin 12 litre pack are ideal. 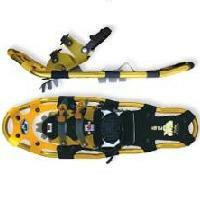 Look for straps to attach your poles too, if they don't fit inside, and also fittings for your prefered type of hydration system. Try any rucksack on that you wish to purchase to check the fit, and try the waist / chest strap(s) system to see if it suits your body shape. Try the pack with a reaslistic load in it, not empty. 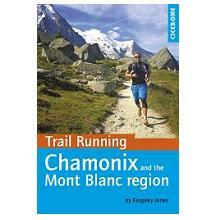 A topic often neglected by trail runners! 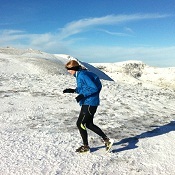 Everyone remembers getting hot and a bit sweaty when running, but in the mountains you can get cold too. It's well worth carrying a thin gilet jacket or long sleeved top, to add as an extra layer if it gets windy or the temperature drops. 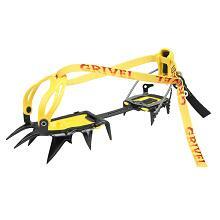 On many long trail races this is obligatory kit that can be verified at a control during the race. Gloves and a warm hat are also very useful. A thin pair of fleece gloves is generally enough, and for a hat many people prefer to take a Buff type hat that can also double as a neck warmer, sweat band, or even a balaclava. 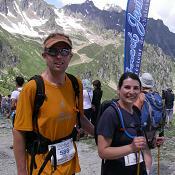 Some runners carry just a cap as insulation for the head, but in the Alps, it is better to keep warm. 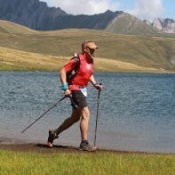 There is a bewildering choice of trail shoes on the market, from minimalist shoes such as the Vibram 5 fingers, to the maximum cushioning shoes like Hokas. 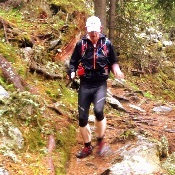 A good medium is provided by shoes including the Salomon XT Wings, Brookes Cascada, and TNF Singletrack. Don't fixate on too much technology. Select a shoe that fits you well, and is perhaps up to one full size bigger that you would normally use, to allow for your feet swelling and for a longer toe box to protect their feet in descent. 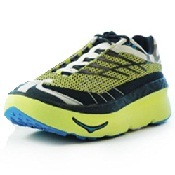 Also look for a reasonable grip on the base, and a lacing system that allows for easy adjustment when out running. Everyone has their own preferences, so if you have a shoe that works for you, stick with it. When you are mountain running in the Lake District, cushioning is provided by the soft mountain ground, and it's far more important to have a shoe with a low profile to keep you close to the mountain, and with excellent grip. Even on the dry days, the ground is often still wet underfoot in the fells, and so traction is the key priority. Don't worry about getting waterproof shoes, as once the water comes over the top of them, they trap the water in. A durable upper that lets the water out again is ideal. 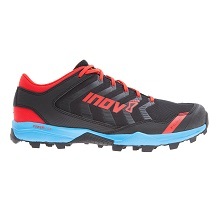 Brands to consider include the Inov8 range such as the X-Talon or Mudclaw, or the Salomon Fellraiser and Speedcross models. 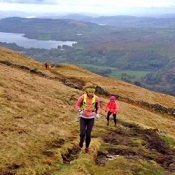 Buying good footwear for fell running, is the best investment you'll make for safety and enjoyment! You don't need to become a lycra clad trail warrior, but there are proven benefits from using compression technology in and / or after running for recovery. 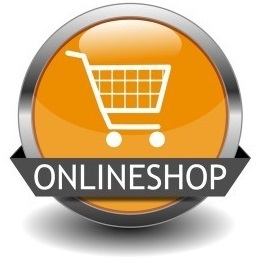 You can select from anything from compression socks, to tights, tops and arm covers too. The benefits of using this kit are that they help reduce lactic build up in muscles, but at the pace you normally run in the mountains, this generally isn't an issue. They do assist with recovery after a hard training session or race, and are gaining popularity in Europe and around the world. The best advice is not to think that this kit will magic wonderous results, but can be used to help look after you during a run and afterwards. If you recover well anyway, save your money. The higher you run, the less protection from the sun you get, so the use of sun screen / block and protective clothing becomes more important. Just to work against you, sweating will remove the sun cream, so it's a hard act to get right. 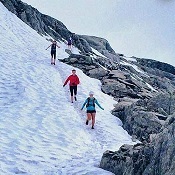 Most trail runners opt for clothing and cream, to help protect them. A sun cap or visor with head band works great at keeping your face in the shade, but also you need to think about wearing light coloured clothing, and remembering to top up on the sun cream whenever you feel your skin burning. It is very hard to go out running for the day in the mountains in the sun, without getting a little sun tan, but just ensure that it is only a tan, never a burn. 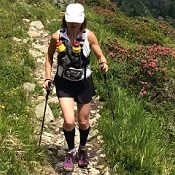 Some races insist on carrying poles, whilst others ban them, so at present it seems like the trail running community is still split. 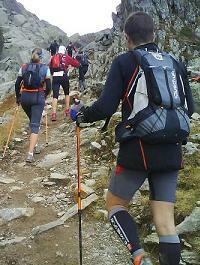 It is clear that the elite racers generally do not use poles, but on most races over 85% of participants carry them. 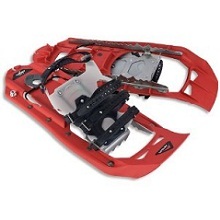 There are a wide range of trail specific products on the market, but the lighter they are, the easier they will break. Lightweight normal walking poles are fine to use, and you can remove the snow baskets to make them easier to use. 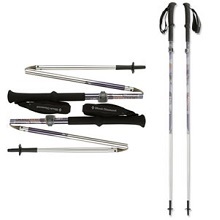 Using poles can take a quarter of the load off your legs on an ascent, and up to a third on a long descent, which is why they are so popular. 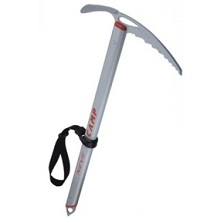 If you haven't run with poles, give it a try, but don't use the wrist loops in case you fall. Everyone has their own favourite running fuel, be it energy gels or cheese and pickle sandwiches! Most experience runners adapt what they eat for different stages of a long run, so they eat proteins and fats in the first thirds of a race (e.g. meats and cheeses), then complex carbohydrates (e.g. pasta, potatoes, bread) in the middle third, then simple carbs (e.g. sugars in sweets, gels) in the final section. You will find that your tastes change as you run for longer, and you must listen to your body, as it is amazing for generating cravings for what it needs. 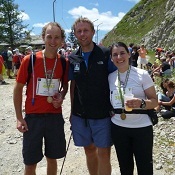 On long Alpine trail races, a salty vermicelli soup is one of the runners favourites, as it replenishes the electrolytes, hydrates, and provides complex carbohydrates. It's the battle of water bottle vs bladder system (e.g. 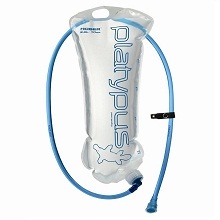 Platypus or Camelback). It is hard to deny the ease of availability of water on the bladder system, but there are two issues to consider; firstly is the difficulty most runners have with judging how much they have drunk so often they run out and are surprised, and secondly the ease of damaging the system with a puncture or leak thus losing the water. A bottle is harder to use, but is easier to guage usage on, and there's less to go wrong. A mix of the two systems isn't a bad plan at all. On longer runs, electrolyte powders are useful, to replenish minerals lost through sweating. Do note that it is as important to not over hydrate, as it is not to get de-hydrated. 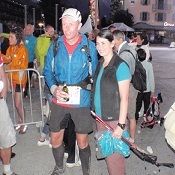 Anyone who is leading you will be a finisher of one of the iconic trail races, such as the Ultra Trail du Mont Blanc, Tor des Geants, Leadville or WS100.